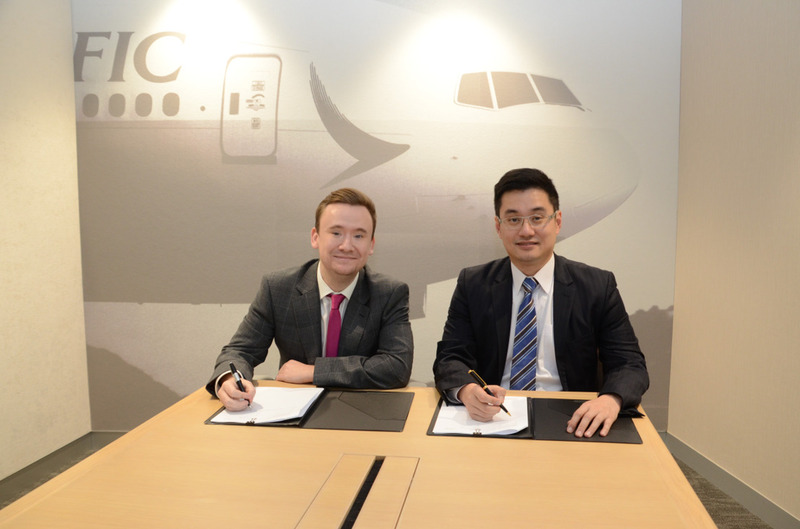 HONG KONG, 2018-Mar-21 — /Travel PR News/ — Cathay Pacific Cargo today announced a new partnership with va-Q-tec, a leading provider of thermal packaging solutions for temperature controlled transportation. va-Q-tec’s advanced passive thermal containers, which are designed to maintain a constant temperature during transportation for more than five days, will be a strong addition to Cathay Pacific Cargo’s Pharma LIFT portfolio by providing its global customers with an excellent solution for moving life-saving pharmaceuticals by air freight. Cathay Pacific Cargo, the first Hong Kong airline to be awarded IATA CEIV Pharma Certification, is committed to transporting high-value, time-sensitive and temperature-controlled pharmaceutical products with speed, consistency and efficiency. The thermal containers are available in five different sizes, taking up to two US pallets inside, and in six different temperature ranges, from -60°C to +25°C. They guarantee safe temperature-controlled transportation for the pharmaceutical, healthcare and medical sectors. Will Staddon, Global Partner Manager at va-Q-tec UK, said: “We are delighted to be working with a strong partner like Cathay Pacific Cargo to make a major contribution to the temperature-controlled logistics market. Their ambition to provide a quality-driven service matches ours perfectly and this partnership signifies va-Q-tec’s continued growth in key pharma regions. “va-Q-tec is expanding across the globe and is also significantly strengthening its presence in Asia Pacific,” he added. The company has established subsidiaries in South Korea and Japan, amongst other countries and operates several container network stations. va-Q-tec invests heavily in cooperation with airlines, freight forwarders, integrators and logistics service providers to offer high-quality transport containers and logistic services at several sites. To learn more about Va-Q-Tech product, read an exclusive interview with Global Partner Manager Will Staddon on the Cargo Clan website. The new Cathay Pacific Cargo Terminal at Hong Kong International Airport (HKIA) commenced operations on 21 February 2013. The HK$5.9 billion facility is one of the biggest and most sophisticated terminals in the world, providing additional air cargo handling capacity and facilities that will help to further reinforce Hong Kong’s position as the world’s premier international airfreight hub. The airline’s wholly owned subsidiary, Cathay Pacific Services Ltd (CPSL), was awarded a franchise to invest in, design, construct and operate the new air cargo terminal at HKIA under a 20-year agreement. The new terminal has been designed for an annual air cargo throughput capacity of 2.6 million tones and will be a common-use facility open to all airline customers. This entry was posted in Business, Transportation, Travel, Travel Management, Travel Services, Travel Tech and tagged Cathay Pacific Cargo, Frosti Lau, Pharma LIFT portfolio, Sook Yoo, thermal packaging solutions, va-Q-tec, Will Staddon. Bookmark the permalink.